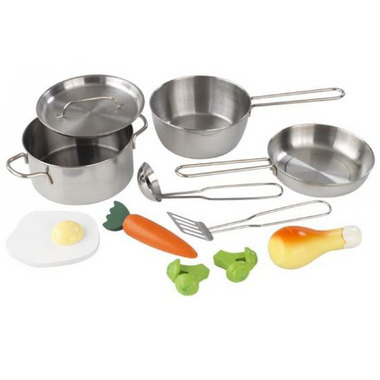 KidKraft Deluxe Cookware Set is perfect for any of the young chefs in your life. ​This set can be used with any of KidKraft’s play kitchens to make play time even more real. This item ships from the manufacturer.